Securing new jobs in the construction sector has traditionally been a straightforward task. Multiple companies would bid on a project and the client would award it, usually to the lowest bidder. However, today’s business environment has become more complex and competitive, requiring construction contractors to increase their focus on customer retention in order to obtain repeat business. This shift has made customer relationship management (CRM) software an essential part of any construction business. A construction CRM should keep all the information you need about prospective customers at your fingertips. In addition, the software should integrate fully with your existing business processes, allowing you to track customers throughout their lifecycle. To help you select the perfect software for your business, this article will look at five key features that any construction CRM should have. Project management in construction means tracking each bid as it moves through the pipeline. Any CRM you choose should have features that complement your existing project management software. Ideally, CRM software should allow construction companies to create estimates on the fly and send them to prospective clients. In addition, it should allow your team members to schedule follow-up tasks for each project. The primary benefit of project management in construction is to avoid missing opportunities to secure new projects. Consequently, your CRM should send automatic e-mail reminders to ensure that tasks don’t fall through the cracks. It should also allow you to log customer interactions directly from your inbox, allowing bid information to be easily updated. It’s important for construction businesses to focus on the hottest bids since they typically have many pending projects. A CRM’s project management features should help you prioritize bids throughout each stage of the pipeline, from prospecting to proposal. A common approach is to allow users to assign a value to each bid, indicating its potential revenue. The ability to view a customer’s entire history in a single location is an essential requirement for a construction CRM. This typically involves maintaining a shared list of bids, allowing you to deliver world-class service to each customer. A shared list helps you maintain strong relationships with your contacts, regardless of who answers your phone. Having all of your contacts in a single location is important in construction because of the amount of collaboration required. For example, contractors must deal with contacts such as architects, inspectors, and subcontractors while working on a single project. A CRM containing everyone’s contact information makes it easier to identify the person needed for a particular task. A complete view of customer history also allows you to manage relationships proactively. Your CRM should allow you to schedule tasks reminding you when it’s time to touch base with a customer. This practice helps to ensure that you can identify and correct potential problems before customers become dissatisfied with your service. A CRM that offers end-to-end workflows allows you to automate many of the steps involved in managing a construction business. In particular, manually entering the same data more than once becomes tedious when it has to be done for every project. Automated workflows allow you to send invoices and receive payments in less time, with fewer people involved. Another desirable feature in a CRM is the ability to customize these workflows to meet changes in requirements, which is a common occurrence in construction. Customization allows a single system to perform various distinct functions, which eliminates the need to implement multiple software systems. Construction CRM software should also reduce redundancy by synchronizing with your existing software programs, such as QuickBooks. 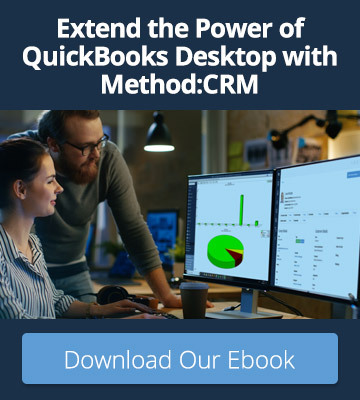 This allows you to easily create an estimate, convert it to a sales order and issue an invoice in either program without needing to re-enter data. Syncing with QuickBooks also allows your customers to pay invoices online without your team needing access to QuickBooks. The ability to accept credit card payments is an essential feature for a construction CRM platform. This feature should also support ACH payments made in the United States. Convenient payment options in your CRM help you simplify the payment process and get paid faster. Some CRMs enable users to send invoices with a link to an online portal, which lets their customers view and pay balances online. The main advantage of a CRM that offers payment services is that it greatly reduces the risk of error during the payment process. Sales team members will no longer need to process payments manually, which requires multiple steps. This feature also eliminates the need for employees to have access to QuickBooks when processing payments. This is particularly beneficial to construction businesses whose team members are often in the field. The integration of a CRM with existing email services is becoming an increasingly important feature in construction. These integrations allow you to view a customer’s personal data from your inbox, including their name, address, and phone number. They also allow you to see account data such as balance, past transactions, and other activities. 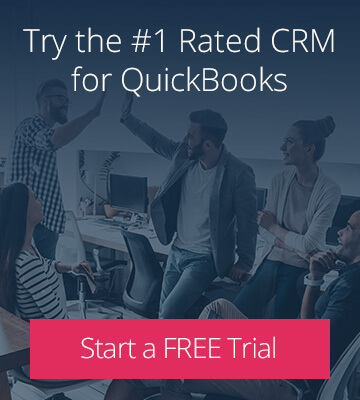 Additional capabilities of CRM email integrations should include the ability to add new contacts and save new information without leaving your inbox. 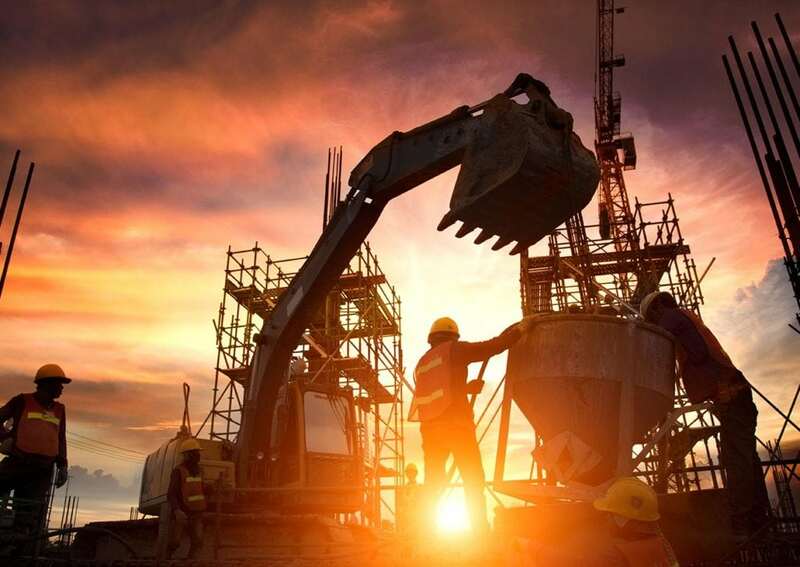 A construction CRM should also offer email integrations with a high degree of customization, allowing them to meet the distinct needs of construction businesses. The greatest benefit of email integrations is that they streamline your workflow by eliminating the need to switch between tabs. Instead of pasting emails into your CRM, you can easily log interactions with customers right from your email program. The ability to work within your inbox can significantly increase your operational efficiency. CRM software is an essential tool for streamlining operations in a modern business. It’s particularly useful for construction businesses, where team members are often spread across multiple locations. Construction businesses also rely on CRM software to track interactions with their many contacts. By eliminating the need for double data entry and consolidating many business functions into a single platform, construction CRM software can dramatically reduce a company’s workload and improve efficiency.